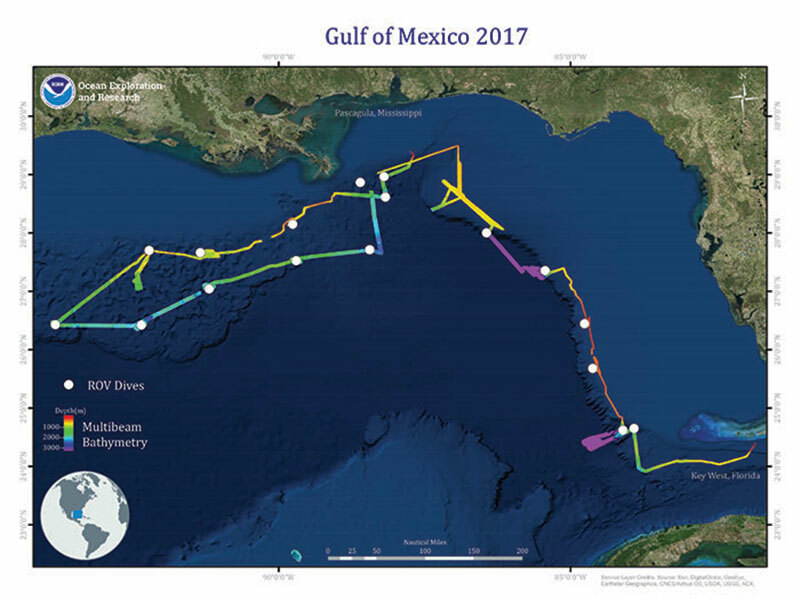 The Gulf of Mexico 2017 expedition was a 23-day telepresence-enabled expedition to collect critical information and acquire data on priority exploration areas identified by ocean management and scientific communities. 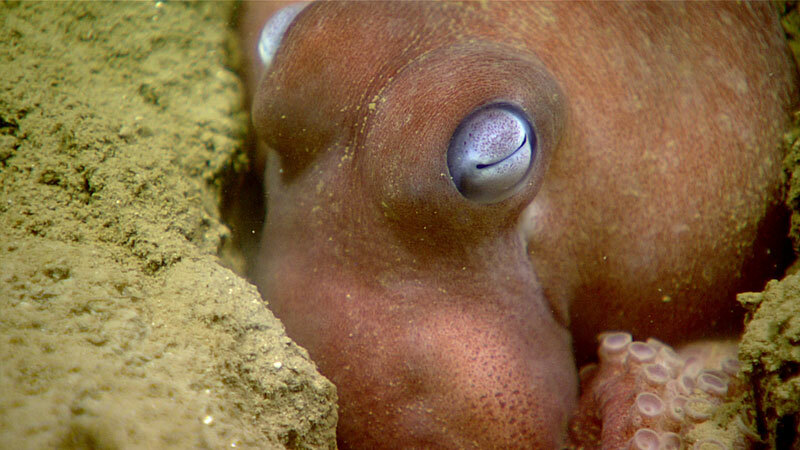 The goal of the expedition was to use remotely operated vehicle dives and seafloor mapping operations to increase the understanding of the deep-sea ecosystems in these areas to support management decisions. Major accomplishments from this expedition are summarized in this log. While rough weather forced us to cancel several dives, we were able to conduct 17 total dives using Deep Discoverer and Seirios to explore sedimented seafloor, deep coral and sponge gardens, carbonate walls covered in life, an 18th- or 19th-century shipwreck, cold seeps with chemosynthetic communities, a shipping container and its debris, the vast and unexplored water column, and more. This page includes a few of the highlight images from NOAA Ship Okeanos Explorer’s 2017 return to the Gulf of Mexico. 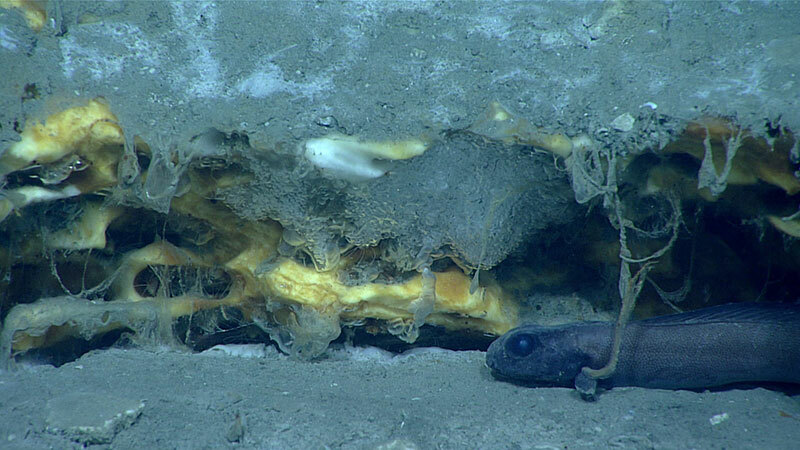 NOAA’s Deep Discoverer remotely operated vehicle encountered gas hydrate mounds, ice worms, chemosynthetic communities, and active gas seeps during Dive 17 of the Okeanos Explorer Gulf of Mexico 2017 expedition. Guided by seafloor anomalies delineated by the Bureau of Ocean Energy Management and by Okeanos sonar data that had detected plumes of gas bubbles in the water column, Dive 17 explored the seafloor at ~1,050 meters water depth on the northwestern edge of a salt-cored Horne Dome, ~87 kilometers from the Mouth of the Mississippi, Louisiana. 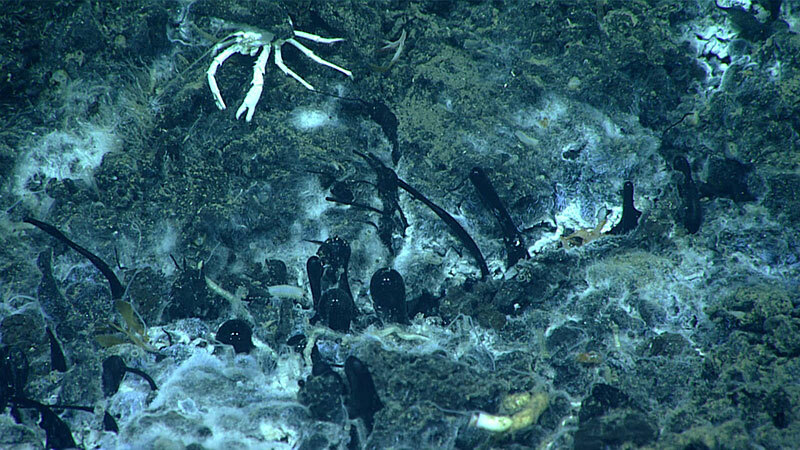 During Dive 09 of the Okeanos Explorer Gulf of Mexico 2017 expedition, NOAA’s Deep Discoverer remotely operated vehicle found an asphalt seep at ~1,150 meters (~3,775 feet) water depth in an area known as Henderson Ridge. As I sit in my office in north central Florida writing this mission log about marine snow, I can’t help reliving memories of snow ball fights and tobogganing down the hill by our house. While snow on land creates scenic landscapes and inspires hot chocolate consumption and relaxing by the fireplace, marine snow in the world’s oceans helps keep our oceans alive and healthy. But what is marine snow? Every day I get to go out on the ocean I feel like the luckiest person in the world! NOAA scholarships have given me opportunities that I would have never even dreamed possible. I have been fortunate enough to receive two NOAA scholarships. 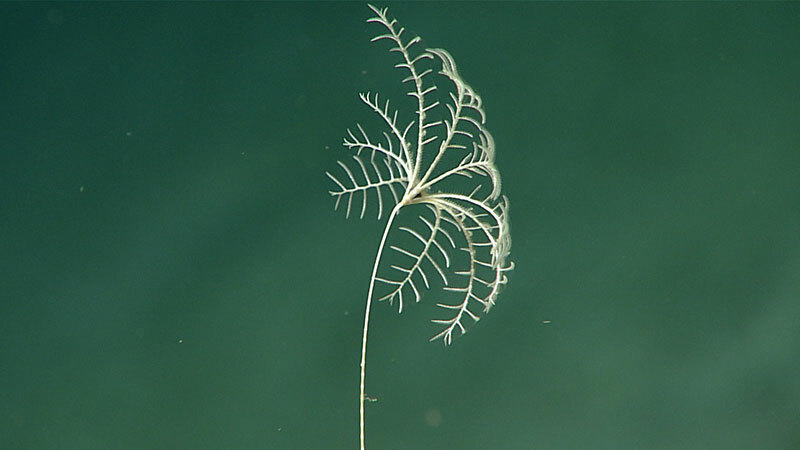 Sea lilies and feather stars are among the strangest creatures that Okeanos Explorer has encountered during this expedition. Their formal name, crinoid, means lily-like (thus, one of their common names), and although they appear superficially plant-like, they are animals, complete with digestive and nervous systems. 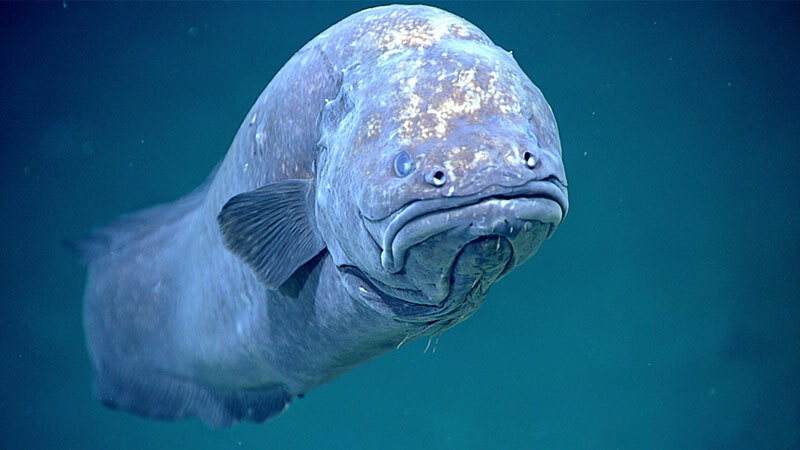 Their closest relatives are the sea stars, sea urchins, brittle stars, and sea cucumbers. Together, these five groups form the major branch of the animal kingdom called the echinoderms (spiny-skin). Members have a basic five-sided symmetry, calcareous skeleton, and unique internal canal system and ligamentary tissue. 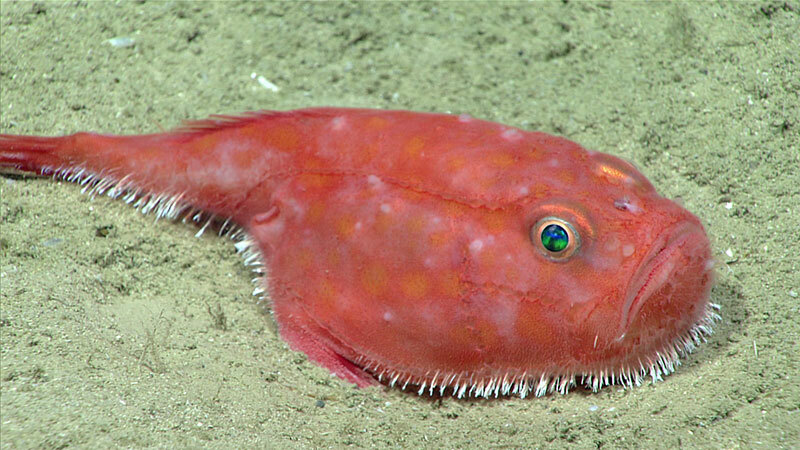 The first several dives of the Okeanos Explorer Gulf of Mexico 2017 expedition took place along the West Florida Escarpment at depths ranging from 380 - 2,300 meters (1,250 - 7,545 feet) and in a variety of benthic habitats. 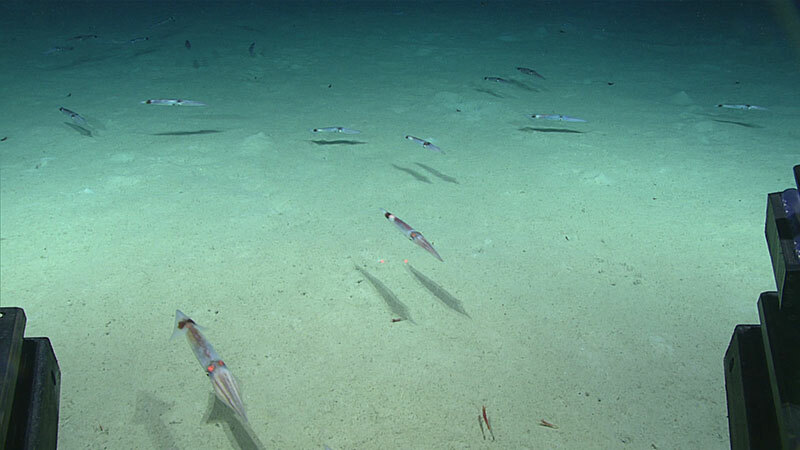 Scientists were interested in acquiring information on the distribution and abundance of benthic fauna at these dive sites, as many of the sites have been proposed by the Gulf of Mexico Fishery Management Council as potential Habitat Areas of Particular Concern. 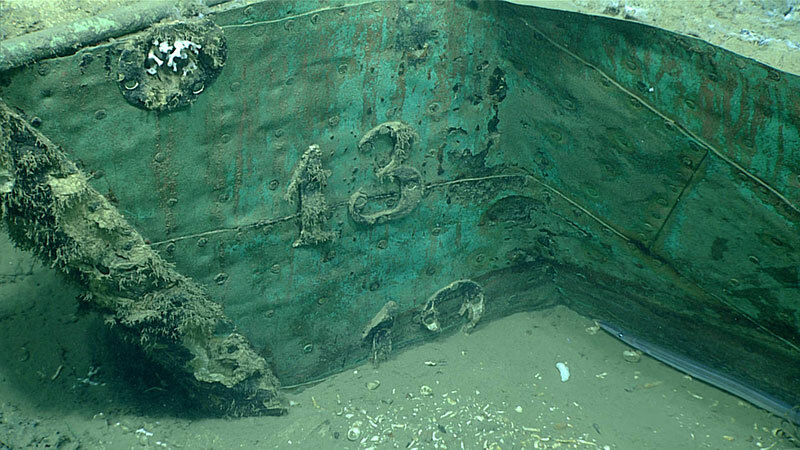 Some of the fishes observed during these dives included the following demersal taxa that are commonly observed over soft sediments or in rocky habitats at similar depths in the southeastern U.S. Exclusive Economic Zone. What kind of event? Good question. First, let’s consider what type of squid, because that helps answer the question of what kind of event. 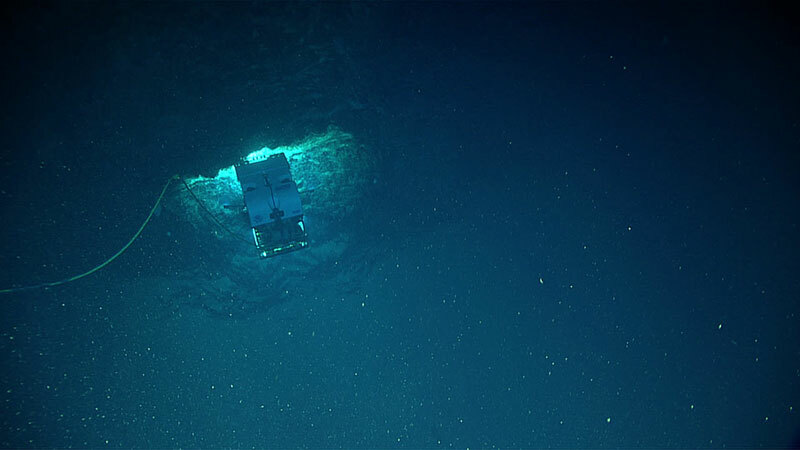 The first dive by remotely operated vehicle Deep Discoverer during Okeanos Explorer’s 2017 exploration of the Gulf of Mexico targeted the continental slope near Key West, Florida, where relatively shallow waters near land drop off into the deep sea. 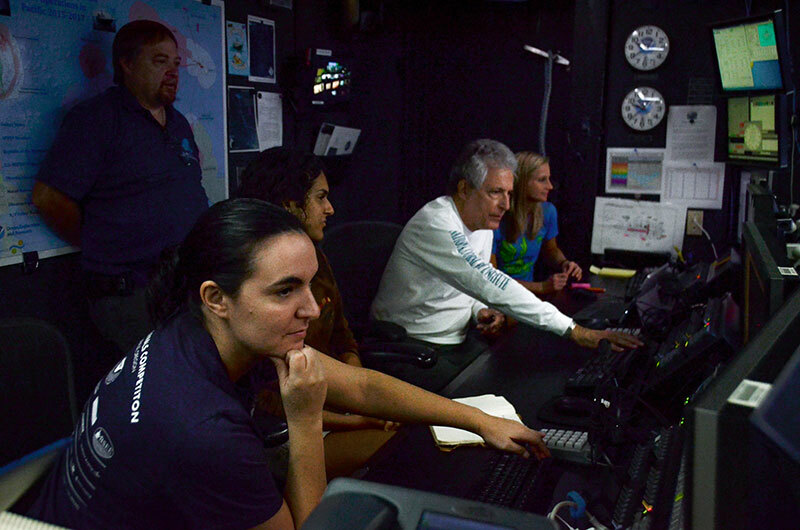 There are many technical challenges to controlling seafloor exploration from NOAA Ship Okeanos Explorer at the surface as remotely operated vehicles Deep Discoverer and Seirios explore 2,000 meters or deeper on the ocean bottom. 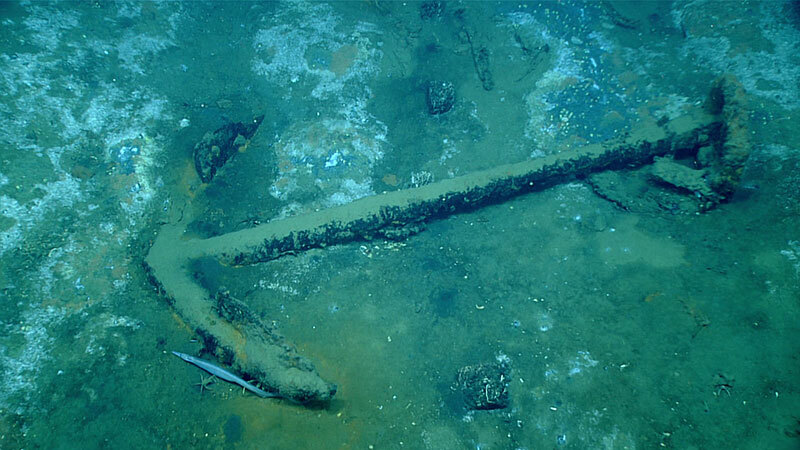 Sometimes the challenges of surface and bottom conditions cannot be overcome and a particular location is considered to be undiveable and the team must find a new site to explore. 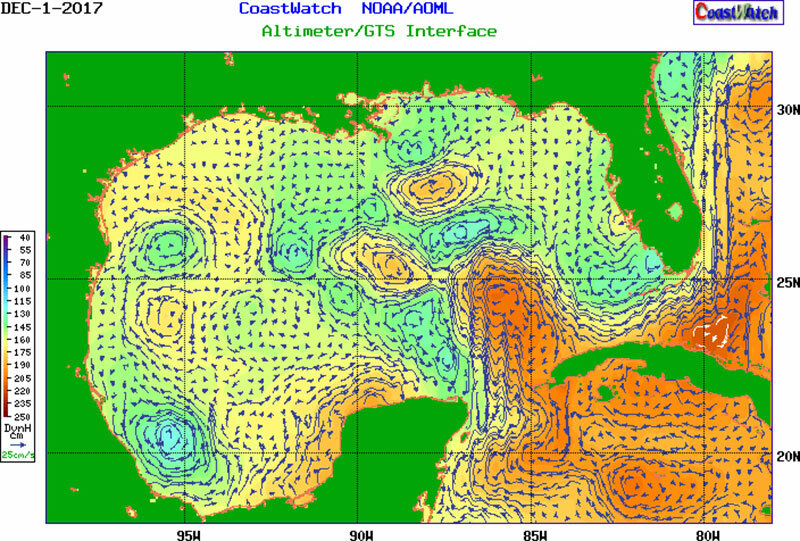 Such was the case for Dive 02, as the Loop Current pushed us east from our originally planned dive site.